In Human Resources do the following: Choose the 401K2 benefit in Maintain Benefits. 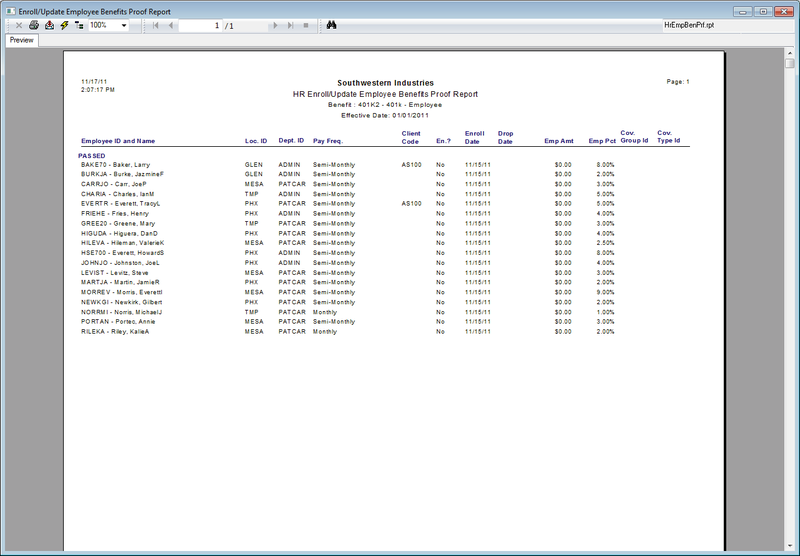 Choose View Detail and select the View/Enroll/Update Employees. A selection grid appears that will update employees with this benefit. This grid is useful in updating various ranges of employees, but if this is the first time enrolling employees, choose ALL and Find Now. 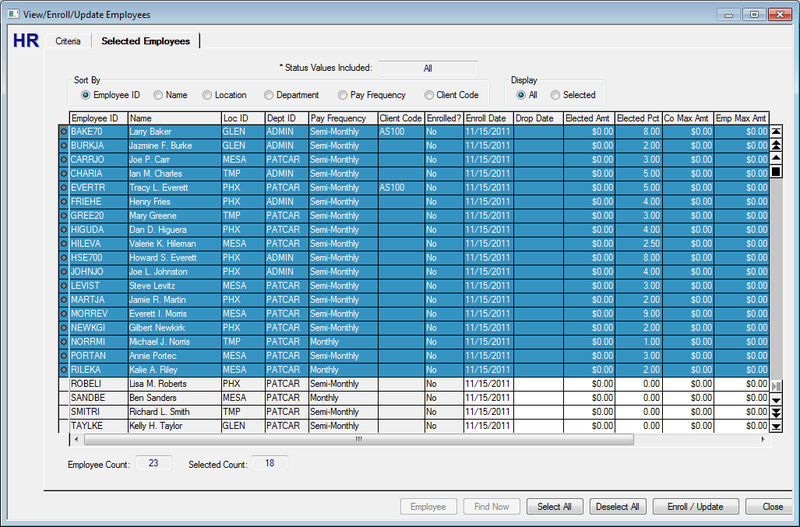 The resulting grid will show all employees but you can filter by various criteria. Select employees and then the Enroll / Update button. Let's move on to Step 9.